Home | Heymont & Company, Inc.
Our purpose at Heymont & Company is to provide you with exceptional financial guidance and personalized service with strategies that seek to build wealth and manage your financial resources, empower you to pursue your life’s aspirations, and create a strategy for passing on a lasting heritage to loved ones or meaningful charities. Whether you are just starting to develop long-term financial plans, approaching retirement, looking to provide a retirement plan for your family or business, or simply looking to better understand certain investment ideas, we can help you find the answers to your most pressing money questions. 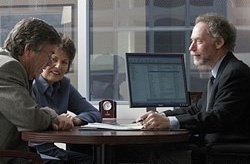 We will help you develop a financial action plan and move confidently toward your goals. We do this through a detailed, highly personalized process of identifying your personal or business needs, outlining goals, analyzing current programs, researching available options, and finally developing and implementing both a short- and long-term range of plans. Heymont & Company is a full-service investment planning and wealth management firm located in Century City, California. We have built our reputation on helping clients create and preserve wealth for their families and their businesses. The opinions expressed in this material are for general information only and are not intended to provide specific advice or recommendations to any individuals. Please contact your tax professional to determine what may be appropriate for your specific situation.